The sheltered waters of Glendhu Bay are tucked in the south west corner of Lake Wanaka. Boasting stunning views of Mt Aspiring and the Rob Roy Glacier the bay is also home to Wanaka’s most scenic camping ground. Follow the undulating Millennium track which follows the lake back to Wanaka township making a great day hike or mountain bike ride with plenty of opportunity for swim stops on the those hot summer days. Glendhu bay is also the access point for the beautiful Mototapu Valley track, a 3-4 day hike. DOC huts provide shelter as you follow in the footsteps of the gold miners seeking their fortunes in the Otago hills. 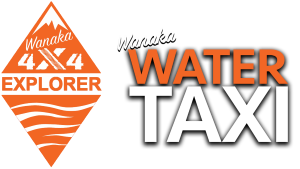 Travelling time from Wanaka by water taxi is approx 20min.